The first thing that most players would point out after booting up the game is its wacky graphics style. 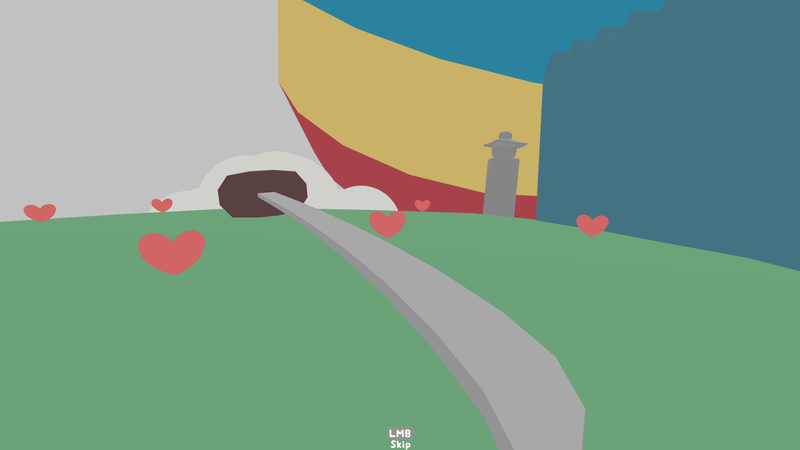 Most games I’ve worked on have had simple and minimal art simply because there’s never been an artist around. 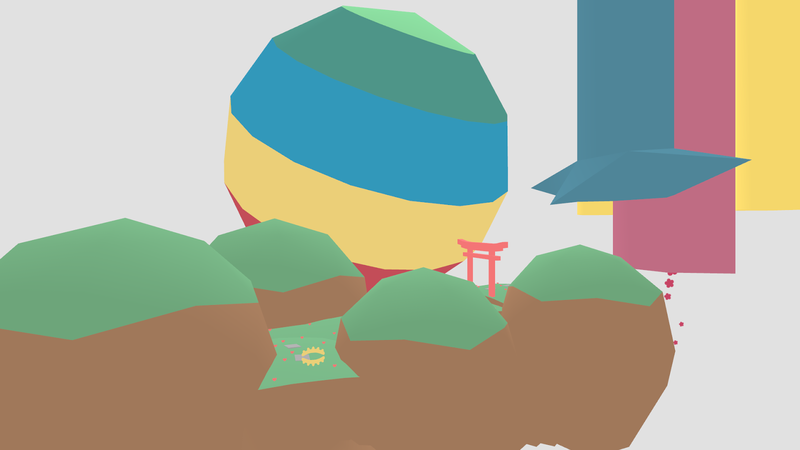 After a few days of experimenting with low-poly models in a flat-shaded and untextured game world, I just happened to run into the floating islands theme. All the other elements like the grass and clouds were added slowly over the course of development. The visuals play an important role in communicating with the player and I often find some games which totally miss the point. A barrage of physically accurate particle effects and detailed textures on life-like character models might look great in a trailer but when it comes to playing the game I find them intrusive and unnecessary. 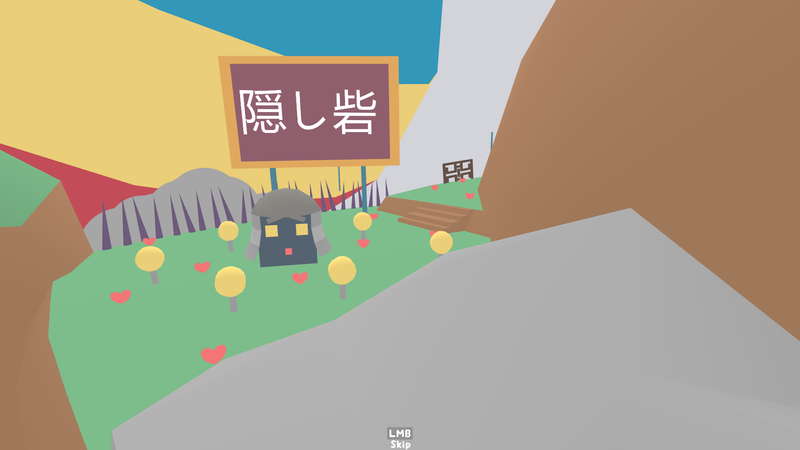 Lovely Planet maintains only an above average presentation but I like that the visuals are kept clean so players can easily decode the playing field and focus on what is more important during gameplay. Having similar game mechanics exclusive to distinct sections of the game felt like the right thing to do at the time. I never really gave it much thought until later in development when I started to doubt the pacing of the game as a whole. By the time I realized, it was already too late to make any drastic changes because it was no longer a simple matter of reordering a couple of levels. Most of the stages revolve around a new element or mechanic they are meant to introduce and even though it can be argued they aren’t really doing a good job of it, that was still my intention all along. I had myself convinced that the open format of progression would be enough incentive for players to experiment with levels outside of the order in which they are laid out, but things didn’t work out that way at all. Especially I think with people streaming the game who want to showcase their playthroughs with some amount of consistency. Frankly this was just lazy on my part, despite knowing precisely what went wrong I just never got around to fixing it. Playtesting was something I had on my mind for a long time. After all the levels were laid out and I was happy with the amount of content and the order in which it was presented, I called up that one friend who was completely in the dark about the game. At the time there was a feeling of immense satisfaction, seeing someone struggle with the game opened my eyes to how minor errors in level design can potentially wreck your game. Although unfortunately it was more of a dopamine hit at the time because I knew exactly how to fix all of those problems, and I did! It’s just that three playtesters are not nearly enough of a sample space to run a successful playtest, which is why after all that work, the level design was still quite rough around the edges. By the time I could address those issues and push fixes for players, the damage had already been done because it was patched after the game had taken its first set of rounds on YouTube. Players on their channels would excuse all the awkward jumps and stupid mistakes in level design by hiding them under the veil of a ‘difficulty’ badge this game carries with it, but it leaves a bad taste which means nobody would pick it back up and play it further. 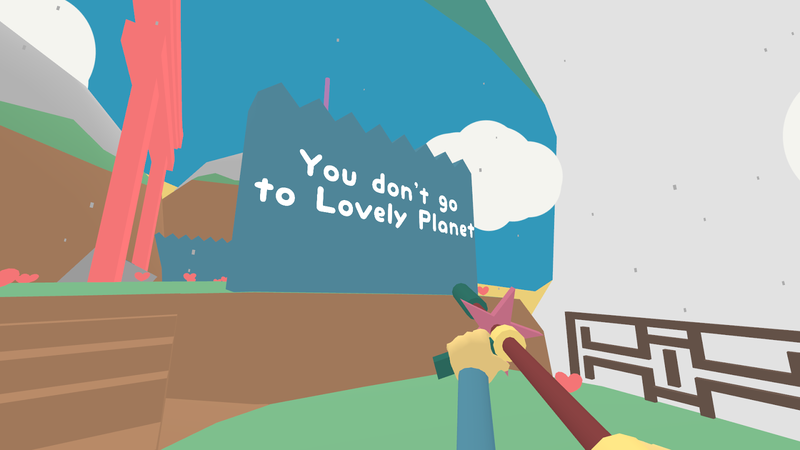 There’s difficult games that encourage you to try your hardest and succeed, but for most players unfortunately, Lovely Planet is not one of them. Besides, I would never leave out fixes for later, majority of players would give your game just one shot and pirated copies don’t get patched so often which means every design error leaves a scar and spreads like a virus on release. I didn’t make Lovely Planet to tell a story and forcing a poor narrative on players just for the sake of entertaining a stupid ‘payoff’ before the credits start to roll isn’t how I like to do my work. 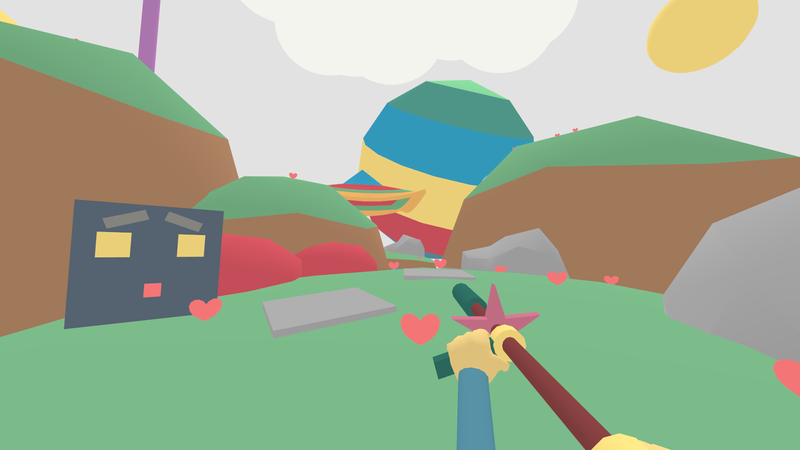 There isn’t an inventory of unique and exciting life experiences to share at least not yet, but I might have a thing or two to say about game design, which is why Lovely Planet revolves around the play and doesn’t foolishly fidget with anything else. I was sure players would come for the genre or visuals and stay for the gameplay or the music. Well before I heard the music in an early draft I received from Calum, I knew the gameplay is always going to be the highlight here and I’m glad we made that abundantly clear on the promotional material as well. Let’s address the elephant in the room before we look at all the worlds individually. Most games when advertised as First Person Shooters, usually come with a gun sticking into the display and a tiny dot on the screen. This reticle or ‘crosshair’ is essential for computer games because it compensates for the lack of depth which is lost when the virtual three-dimensional environment is projected onto a two-dimensional display. If the feedback from the forums on the Steam Community Hub is anything to go by, there’s a misconception among players who believe it was done only to make the game more difficult. That’s not the case at all, it might seem like the game is asking you to just ‘know’ where the imaginary reticle sits on the screen but it’s more a function of muscle memory which is why the levels are kept short. Each time you miss a target your hand learns to compensate for that error the next time you try, so your performance is actually more a function of how well you’ve learnt a level. I never added a reticle because I wanted every shot from the player to be a dice roll. 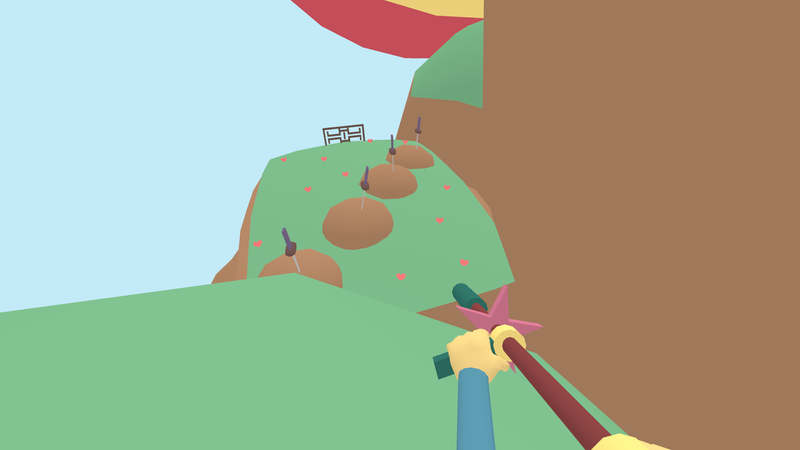 Bullets are slow projectiles so there’s a suspenseful delay between attempting a shot and watching it connect, when finally your gun celebrates with a discharge of bright and colorful stars. All of this amplifies the satisfaction of hitting your target. Call it an ‘artistic vision’ or just a cheap trick, personally to me it’s the essence of what makes the shooting so enjoyable in Lovely Planet. I tried my best to create fluid controls so players forget they’re using a mouse and keyboard and to my surprise some fan-mail suggests it actually worked! 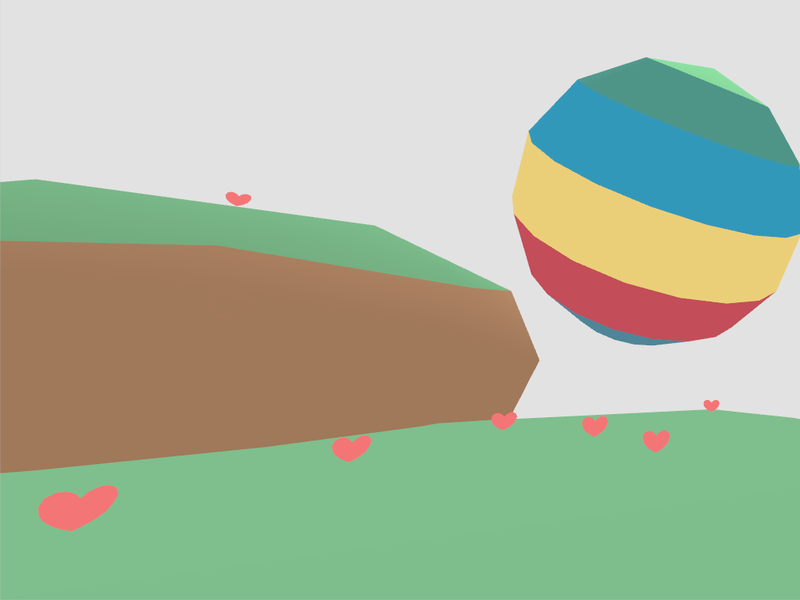 Lovely Planet is often compared with Super Meat Boy and even though I admit it was a big influence during the design phase of development I can hardly compare the two games anymore. Those who have played the game to completion would understand that in its final form, Lovely Planet has more to do with Guitar Hero than any other game that inspired it – every level is like a short song you have to learn up and if a note is missed you start over. I figured early that not all players would find it easy to aim without a crosshair which is why World 1 feels too long and stretched out. Originally it only sported about a dozen levels, introducing the bombs before World 2 added to its length in the final version of the game. World 2 was a complete mess on release, according to me the first few levels from this world were solely responsible for destroying the whole experience for most players. 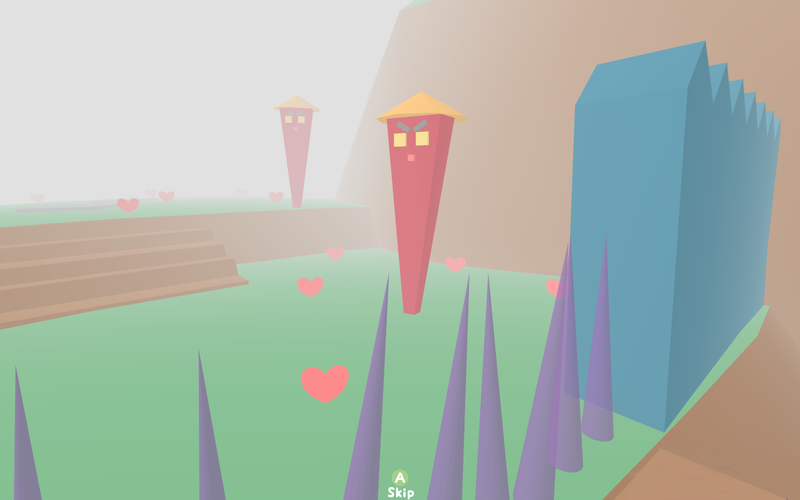 Before they were patched, these levels failed to communicate with the player on how their new obstacles need to be approached. People would find it natural to stand still and take pot shots at bombs from afar when everything in the game from the lack of an aiming reticle, the speed and agility of the player character and the fast-paced nature of the levels is discouraging it. The bombs are another double edged sword, despite their primary function of drawing players near to it and encouraging constant forward motion, they also serve as a source of tension for the player, enough to scramble their judgment in prioritizing between the targets in front of them. This phenomenon combined with the sudden increase in enemy density turned this part of the game into an absolute disaster. 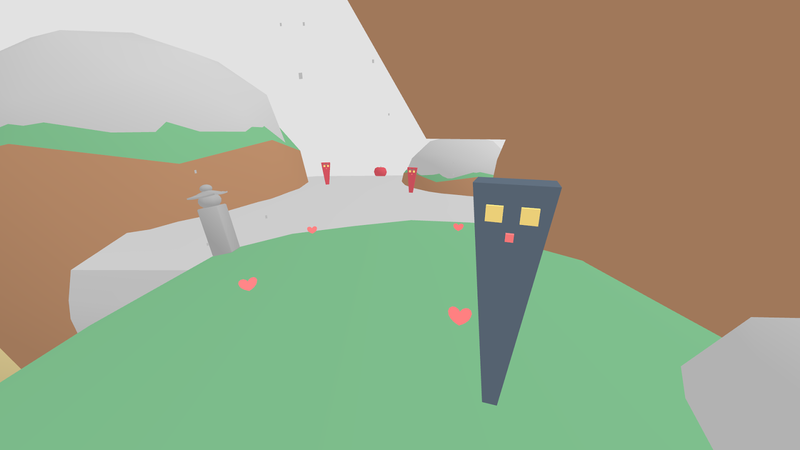 World 3 is where I feel the game really comes into its own – the homing bullets sound scary but there’s a reason why they make for a better game mechanic when compared with the bombs. For the bombs that are launched vertically, the height at which they are targeted is purely a function of how fast the player is racing through the level – I used my judgement with positioning the bombs and configuring their launch velocity, but that was not nearly enough to hide the blatant flaw with the mechanic itself. Players trying to set world records want to maximize their speed, showing up directly underneath the bomb makes for an awkward shot and shooting a moving target from afar involves too much trial and error that feels unfair. On the other hand the homing bullets mostly show up directly in front of the player no matter how slow or fast they’re moving. For the better half of World 3, targets are meant to be shot exactly in the order in which they’re presented to the player unlike World 2 where that responsibility was put on the player. The homing bullets don’t make the aiming entirely effortless though, it just feels a lot more natural and as a result, makes it easier for the player to find a nice flow they can stick to, which is what I set out to do with the game in the first place. The highlight of this section of the game has to be the introduction of fog. I like that it’s able to easily intimidate players by its crippling effect on the view distance, though at the same time I think it is also misunderstood. I meant World 4 to simply re-use the mechanics introduced in World 3 and make them more challenging – that meant an increase in enemy density and frequency of targets. Even though that sounds fairly straightforward in theory, it suffers from the constraints of the first person perspective in practice, which is where the fog plays an important role. The fog is not only used here to hide the disembodied homing bullets which make for quick throwaway targets, it also acts like a filter that brings the more important elements to the front and hides the rest. This cleans up the view so players can concentrate on what requires their attention immediately. The small particles around the device launching the bombs are made bright enough to cut through the fog so players can clearly see where they need to shoot in the distance. I think that was quite a clever design decision, especially since the bombs in World 4 are timed to perfection so we’re mostly shooting them right before they touch the ground. Wrapping up the game at the ‘Swamp’ stage didn’t feel like a good idea, I wanted to bring players back to their ‘happy’ place before the adventure was over and that’s where World 5 comes in. Despite being satisfied with the gameplay in World 4 where players could finally experience the kind of ‘gun-ballet’ that’s advertised at the back of the box, I knew there was still room for more. The snow together with the ‘teleport-buddies’ were the only two mechanics that I felt would complement each other well enough so they made their way into the game. There’s no denying that this part of the game was more experimental, this tweet pretty much sums it up. World 5 of Lovely Planet should not be thought of as part of the normal level set. Instead as a collection of experimental kaizo levels. More variety is always appreciated but World 5 almost feels inconsistent with the rest of the game. There’s a slow transition from World 1 through 4 where all necessary game mechanics are independently introduced and then finally put together. This evolutionary process is completely abandoned with the new teleport mechanic that changes up the gameplay quite a bit. This ‘mountains’ theme with the good guys turned against the player I thought made for a decent finale.